Where were you on October 21, 2015? Well, the rest of us were preparing for the fantastic release of BACK TO THE FUTURE the 30th Anniversary Trilogy on Bluray. In 1985, writer/director Robert Zemeckis along with Steven Spielberg’s Amblin Entertainment took movie-goers on a trip that lasted longer than anyone would ever have anticipated. 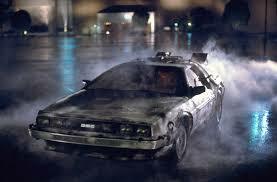 But let us begin with the story of BACK TO THE FUTURE as Marty McFly (Michael J. Fox), a young man who enjoys hanging out with inventor Doc (Christopher Lloyd). In 1989 fans are driven back into the theatre with BACK TO THE FUTURE II. 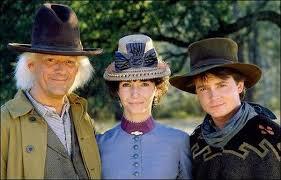 Doc and Marty along with Marty’s girlfriend Jennifer (Elizabeth Shue) need to go to 2015! Biff Tannen is up to old tricks finding a sports almanac that has all the information for fifty years of future games and gives it to his kid self at the Under the Sea dance. In 1990 we take one more trip with Doc and Marty but this time in BACK TO THE FUTURE III, Marty must find doc who is still stranded in 1885. 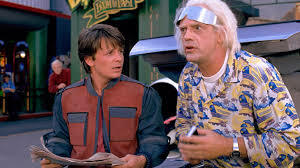 Marty discovers that Biff’s great-grandfather is out to get Doc which can once again change the future. 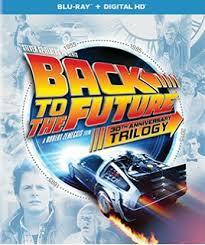 This time Doc falls in love, the Calvary and the Native Americans are fighting and the DeLorean is in need of repair! Just another road trip trying to keep up when going BACK TO THE FUTURE! Each Bluray comes complete with bonus features and with BACK TO THE FUTURE they include Deleted Scenes, Tales from the Future: In the Beginning, Tales from the Future: Time to Go, Tales from the Future: Keeping Time, Archival Featurettes, Michael J. Fox Q&A, Behind the Scenes, “The Power of Love” Music Video by Huey Lewis and the News, Theatrical Trailer, Q&A with Robert Zemeckis and Bob Gale along with Commentary and U-Control. In BACK TO THE FUTURE II the bonus features include Deleted Scenes, Tales from the Future: Time Flies, The Physics of Back to the Future, Archival Featurettes, Behind the Scenes, Q&A with Robert Zemeckis and Bob Gale along with Commentary and U Control. In BACK TO THE FUTURE III the bonus features include Deleted Scenes, Tales from the Future: Third Time’s the Charm, Tales from the Future: The Test of Time, Archival Featurettes, Behind the Scenes, “Doubleback” music video by ZZ Top, FAQ about the Trilogy, Back to the Future: The Ride, Q&A with Robert Zemeckis and Bob Gale along with Commentary and U Control. All of this means that a marathon time slot is a must because this is no longer just about the films, it is a chance to really immerse into the BACK TO THE FUTURE history. This is such an amazing collection and is a must-have for everyone’s home media library so enjoy! In the end – it is amazing to once again go BACK TO THE FUTURE!